After going to the courthouse for the last step in adoption, making Lindsey an official Worley; you can read more about it on Jamie’s blog. We all went out for brunch at Sugar Cakes Patisserie. 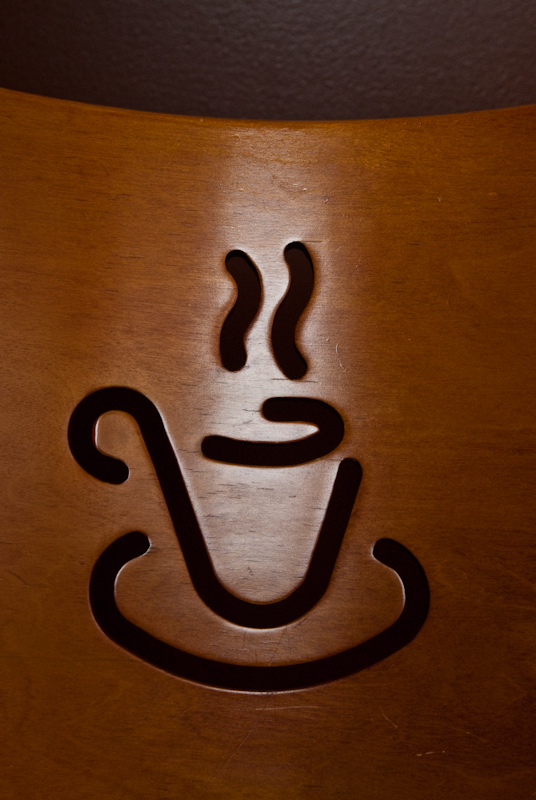 I noticed the back of the chairs had this cool steaming cup design carved in them.